With Kroger embracing its own payment solution, it looks like the grocery store chain has no plans to introduce support for Apple Pay. Kroger did test support for Apple Pay in stores that support contactless payments, but reportedly discontinued the program "due to little interest by customers." Kroger in 2018 told a Reddit user ('https://www.reddit.com/r/ApplePay/comments/8cgu5t/kroger_and_apple_pay/') that it did not have plans to implement Apple Pay in any of its stores. You don’t implement Apple Pay; Apple and the banks already implemented it. You simply allow Apple Pay to work, along with every other contactless payment method out there. Starting in 2020, both Visa and MasterCard will require merchants accepting payments via their networks to support contactless payment at all Point-of-Sale terminals in almost every market in the United States. The fallout from that should be interesting, because there are still more than a few large-scale retailers like Kroger who insist on implementing their own payment schemes so they can continue to harvest your data. For now, I’ll be shopping exclusively at Giant Eagle instead. This is exactly how Walgreens got my loyalty, too. LOL, there was so 'little interest by customers' that they decided to spend 2 years working on their own app. Nice try Kroger. 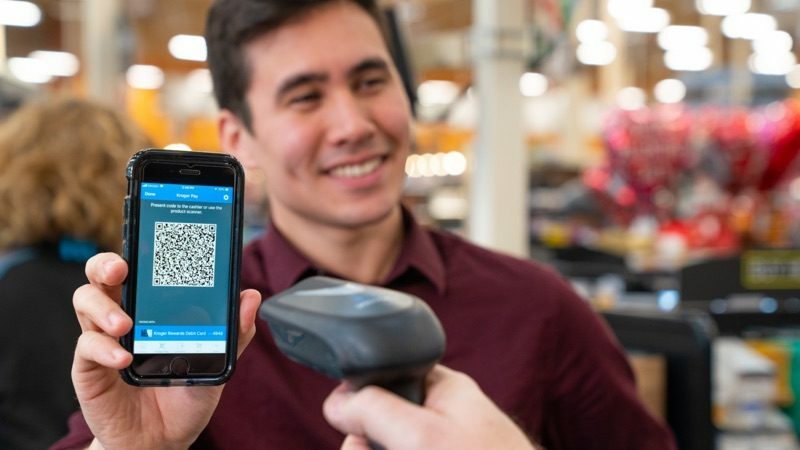 "Kroger Pay is one of the few mobile wallets that pairs loyalty and payment,"
I'll give them another two years before they support Apple Pay, if not sooner if any type of data breach occurs due to their archaic QR based system. Sure, or talk to MCX about the abject failure of CurrentC. The reason these offerings fail, and will always fail, is because they aren’t built to simplify the customer’s life, they exist to solve the retailers’ problems— including not being able to track you anymore. Oh dear lord, why do these companies insist on learning the hard way. This is yet another company who's management and IT departments have their heads WAY up their asses! As a Kroger shopper in TN, I find this disappointing. I understand they don't want to share profits from merchant fees but as Target learned this is not what people want. I dunno, because we still have to enter our Kroger loyalty card on the transaction, So even if it’s a different credit card number every time they still know that it’s the same customer. Ditto. I'm in TN and shop my local Krogers a couple times a week. Have been waiting since my iPhone 6 for Kroger to get on board. The test obviously wasn't here because I'd have given their system a workout. Lack of interest my foot! I used ApplePay more in 3 days during a trip into Canada than in 6-months here in the States. The retailers here just don't get it. I'll keep shopping there but like others, I predict they'll learn the hard way and cave within 2 years.